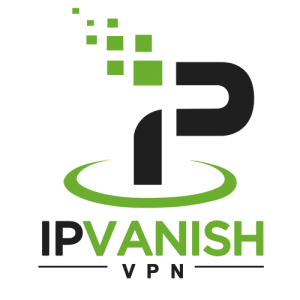 IPVanish was the new kid on the block for a while, but now they've seated themselves in a nice position to be a solid VPN service I can recommend. 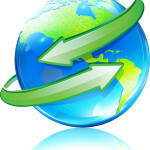 Here are the details of their service and why they on my list of top rated VPN services here on Mr. VPN. Because all plans come with full access to all VPN servers and all VPN protocols, the only thing you need to look at is the prices of the plans. There use to be a flat rate of $10 per month, but they've now started offering a scaled pricing system where you can lock in discount rates for ordering more than one month at a time. There are 1, 3, and 12 month options for which you pay $10, $8.99, or $6.49 per month, respectively. $6.49 is pretty much the lowest price out there for VPN plans, except for a few services which offer limited access “lite” plans, or plans which you pay by how much data you use (check out our Ivacy Review…coming soon). The point is that six and a half dollars for full access to a completely private and large network of servers in all the popular countries around the world is a steal. There's no doubt about that. I have another website that reviews VPN services specifically for users in China, and originally I gave IPVanish a negative review based on server speed and server reliability. However, I've moved back to the US now and am shocked at how different the performance is. One issue I was facing in China was a slow internet connection to begin with. That's an infrastructure issue with China. But for some reason I just couldn't get a good connection to IPVanish, regardless of country, server, ping time, or time of day. 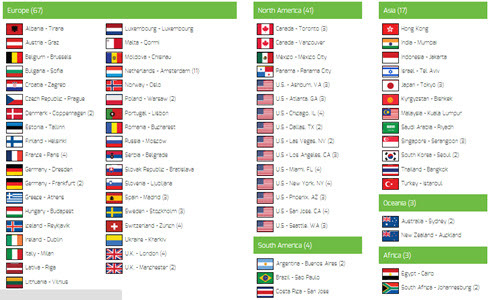 In the US, I would have to rate it as one of the fastest VPN services I've used. I did a ping test in China that came back as 104. Using the same setup on the same VPN server, ping time in the US was 25. 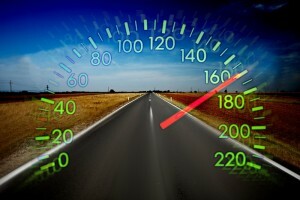 What this means is that for people in The US, IPVanish will give you great results. In China, the story may be different. For other countries, though I haven't tested it personally, I think that most other places will tend to have Internet rules more like The US instead of China, so you can expect similar results, ie fast speeds. One thing I did notice once I was able to properly test IPVanish is that I was able to bypass more firewalls. I tried using 12VPN to access BBC iPlayer during the London Olympics with no success. I was able to use IPVanish to stream from iPlayer without a problem today. It's a bit late for the Olympics, but anyway, here's a screenshot. I tested the CBC with the Canadian VPN servers as well. I don't know any good Canadian TV shows, but I do know a few streaming sites from my research, unlike French TV, Spanish, or German TV streaming sites which I have no idea about. I was previously blocked using another VPN service, but was able to bypass the geo-restrictions using IPVanish. Great! I guess if I was a hockey fan I could enjoy more of that. IPVanish now has automatic setup for Android (Ice Cream Sandwich+), Windows, and Mac OSX (10.6.8+). iOS, DD-WRT, and Linux users will still need to use manual setup. The current ticket system which sends you back a copy of your original ticket before you get a response is a bit confusing. I would prefer to have a copy of the ticket in my member area, and receive a confirmation to my inbox like most other VPN services do. But hey, it's just one of those things that once you get used to it, it's not a big deal. On the other hand, their customer support team is pretty fast answering the tickets and very thorough in their responses. Oh, and where the iOS app guys? iOS app has been released! So basically, IPVanish is a great VPN service. You're going to start seeing more of IPVanish here at Mr. VPN! Go to the official IPVanish website to check out more details and get signed up!